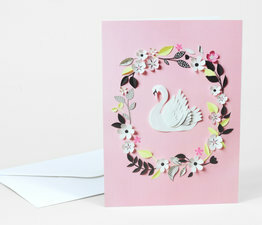 Here's a great card produced by our British friends at Betty & Dupree. 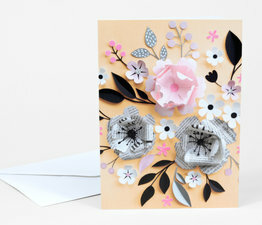 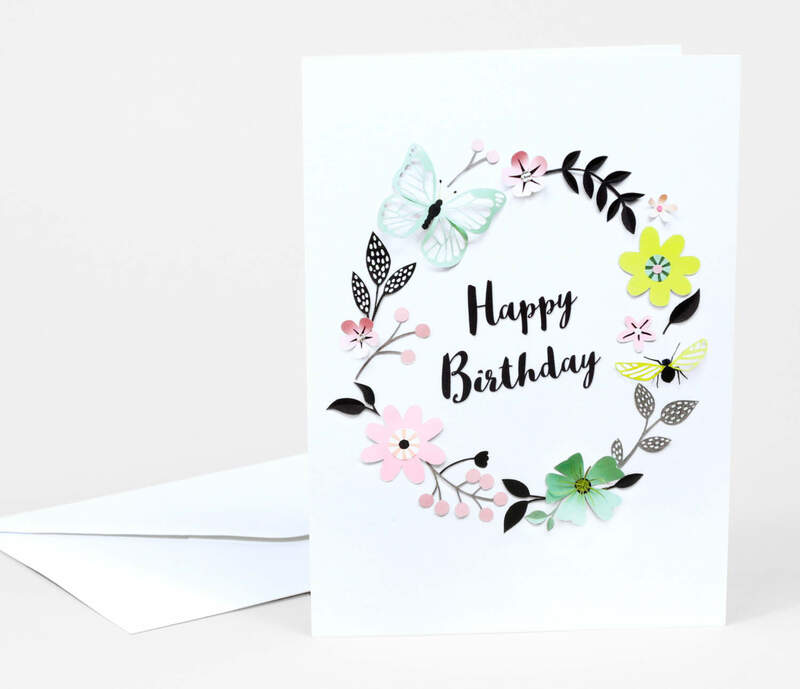 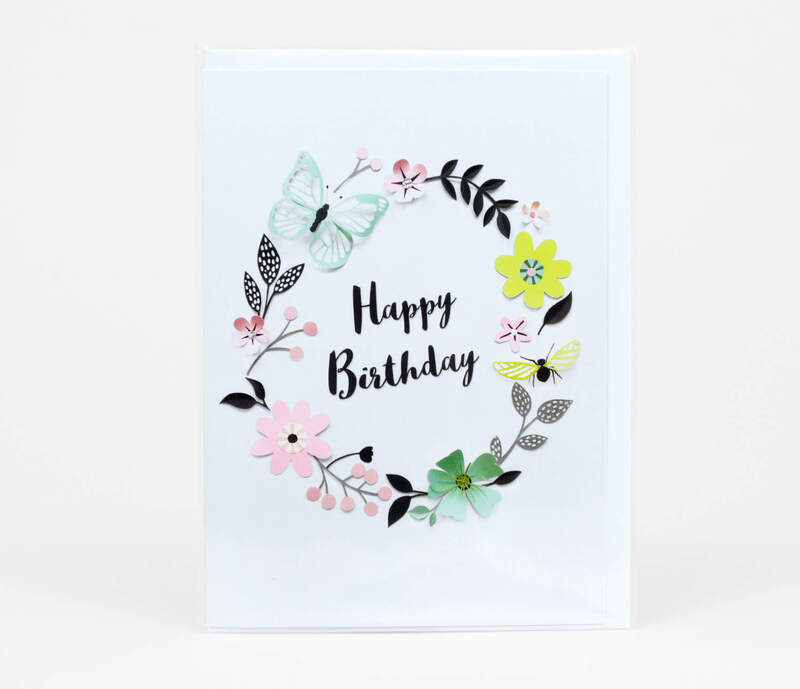 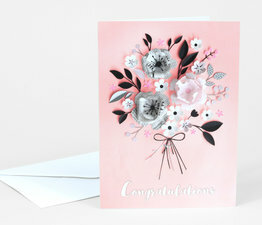 Hanna's inventive papercut creations bring to life lush, floral scenes that are so realistic, you can almost smell the flowers. 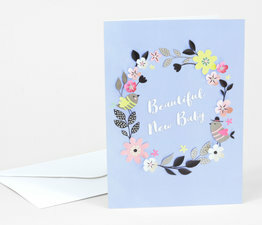 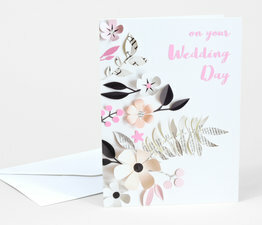 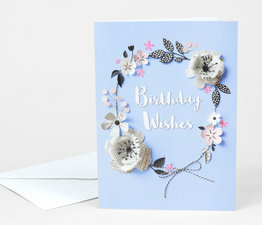 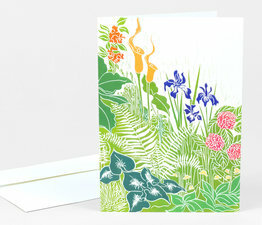 Printed on 330gsm card from a sustainable source in the United Kingdom. 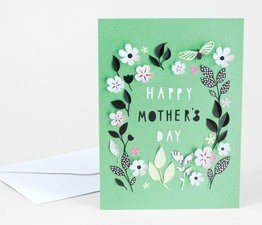 Individually packaged with white envelope in biodegradable bag. 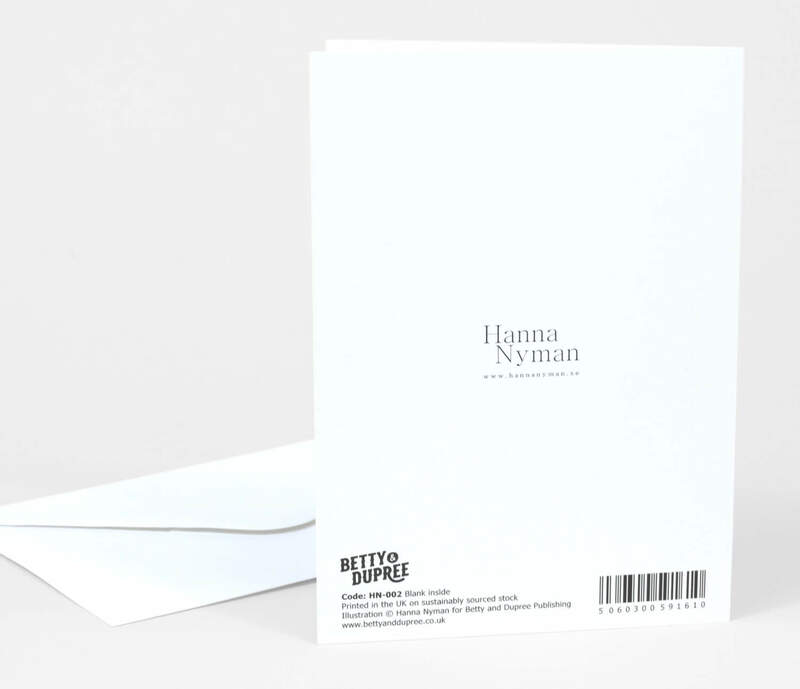 Paper poetry by Stockholm based designer and print designer Hanna Nyman.